108 8mm Baltic Amber beads, with carnelian markers, finished with a Snakeknot and Turquoise adornments. 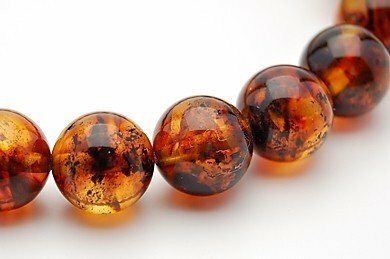 These beads are very round, A grade, gem quality Real Amber with natural inclusions. 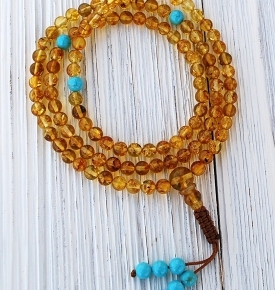 Amber is getting more and more difficult for us to find, so we are delighted to offer this mala to you! 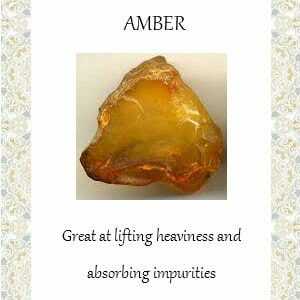 Carnelian: Genuine orange gemstone, evokes passion and fertility. 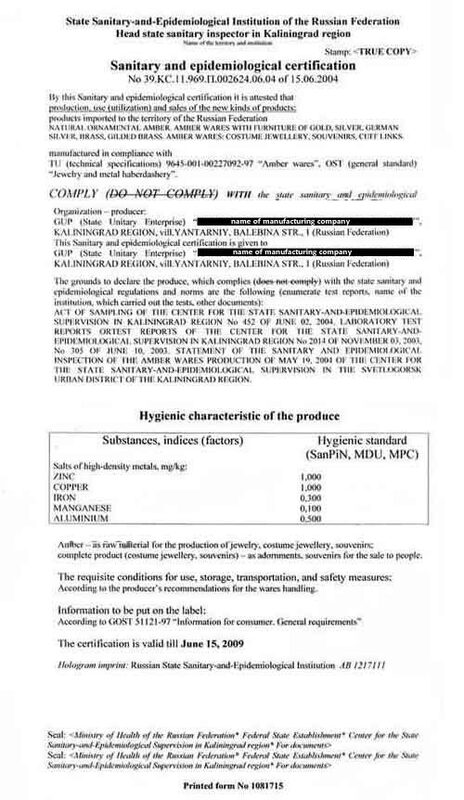 We at Sakura Designs, buy these from authentic, Baltic Amber Suppliers View Certificate and we are trained to determine and test for Amber’s authenticity. What to watch out for: Firstly, the faux amber has either circular diskette round inclusions and the plastic amber is flat and opaque. 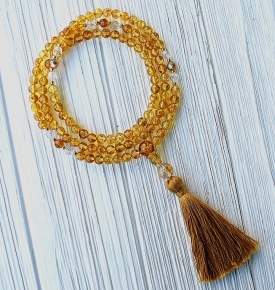 Secondly, the color is very regular and looks like plastic either clear or opaque, the beads often large, and the price “too good to be true.” Sakura Designs offers only real, golden honey Amber beads, with natural inclusions and grain. 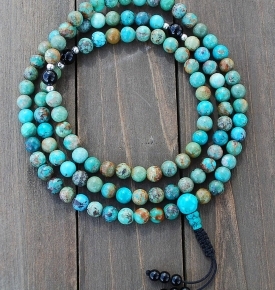 This is my 6th Mala from Sakura/Buddhist Mala and one of my favorites. This is my 3rd 108 bead 8mm ambers, I’ve bought an 8mm Mammoth Ivory, an 8mm Tiger’s Eye and an 8mm Amber wrist Mala. I cord Malas with an 80lb C-Lon cord so my first two 8mm ambers we’re cut apart by me, separated and basically I made a perfect honey and a perfect cognac out of the two. 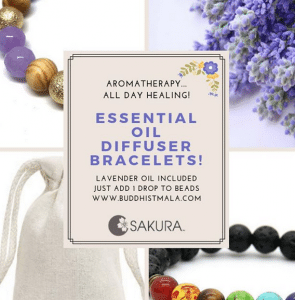 You can find cheaper amber malas or beads out there BUT they sell AAA Baltic Amber that’s drilled properly and will accept a nice 1mm cording. 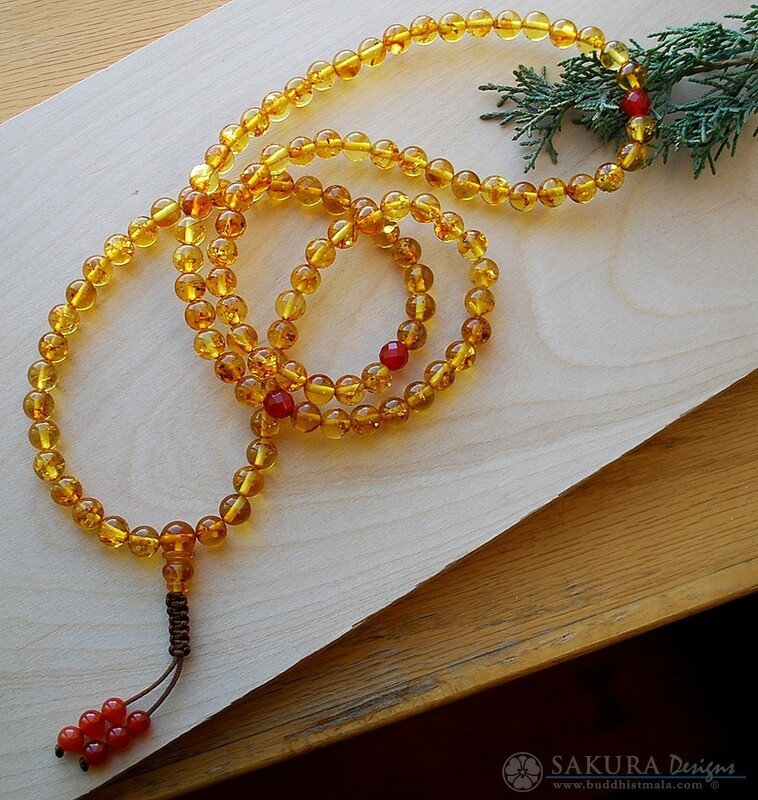 I’ve had 8mm “Amber” beads fracture from trying to record them on my C-Lon but never a bead from a Sakura Mala. They use top notch beads! 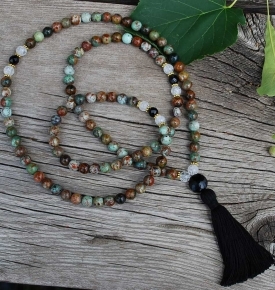 I’ve restrung everything I bought minus the wrist Mala but that’s just because I found a Mala cord I like that’s thin and very tough… plus I’ve been stringing them about 13 years. This newest addition I haven’t touched as it’s strung on a similar 1mm cord, has a lovely adjustable snake knot and it can go from taught and around my neck to opened up 1/2” and around my wrist in a heartbeat. 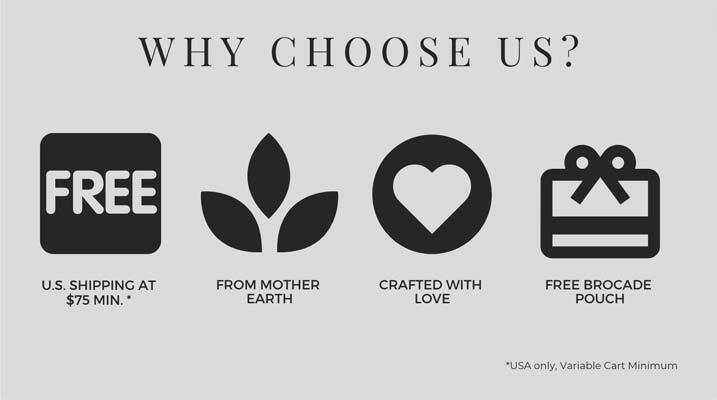 I make a lot of malas but for my own I love awesome beads & Sakura has sent me 3 beautiful 8mm ambers & a Mammoth Tusk Ivory already. I’ve never had a bead or Guru bead break. My Ambers & Mammoth Ivory are my treasured Altar malas I usually leave home. Great Beads???????????????? Your service was impecable. Thank you so much for everything.